Among other things, today is also National Cupcake Day. Cupcakes have been an American culinary icon since the 19th century. Prior to cupcakes, ingredients used in baking were primarily weighed rather than measured. These delightful treats shifted the art of baking from weighing to measuring ingredients. On a more serious note, today is also Bill of Rights Day. The Bill of Rights is the first ten amendments to the United States Constitution. Proposed following the oftentimes bitter 1787–88 battle over ratification of the U.S. Constitution, and crafted to address the objections raised by Anti-Federalists, the Bill of Rights amendments add to the Constitution specific guarantees of personal freedoms and rights, clear limitations on the government's power in judicial and other proceedings, and explicit declarations that all powers not specifically delegated to Congress by the Constitution are reserved for the states or the people. The concepts codified in these amendments are built upon those found in several earlier documents, including the Virginia Declaration of Rights and the English Bill of Rights 1689, along with earlier documents such as Magna Carta (1215). Florida woman with beer, whiskey in golf cart runs into car. Police added that her driver's license had been suspended in June over a failure to pay a traffic fine and she failed her field sobriety tests. Officers asked how much she had drank, to which Farmer responded, "I couldn't even tell you." As of this writing, The KGB Quotations Database contains 43,179 entries. Check it out. Betty Smith, American writer, author of A Tree Grows in Brooklyn. "One should expect that, within a few thousand years of its entering the stage of industrial development, any intelligent species should be found occupying an artificial biosphere which completely surrounds its parent star." U.S. intelligence officials now believe with "a high level of confidence" that Russian President Vladimir Putin became personally involved in the covert Russian campaign to interfere in the U.S. presidential election, according to NBC News. What began as a "vendetta" against Hillary Clinton morphed into an effort to show corruption in American politics and to "split off key American allies by creating the image that [other countries] couldn't depend on the U.S. to be a credible global leader anymore," the official said. The problem with vanilla... Last year, a string of giant food companies, including General Mills, Hershey’s, Kellogg’s, and Nestlé, vowed to eliminate artificial flavors and other additives from many foods sold in the U.S. There is a problem, however: World production of natural vanilla is tiny and has been falling in recent years. Less than 1% of vanilla flavor comes from actual vanilla orchids. With demand on the upswing, trade in the coveted flavor is out of balance. Here's a video explaining the situation. The Transportation Department proposed rules on Tuesday that all new cars and small trucks contain communications technology to broadcast data to one another about their speed, location and direction they are traveling. Along with future plans for rules that would mandate that cars communicate with stoplights and signs, the National Highway Traffic Safety Administration says it believes that the communications technology can help reduce crashes- not including those involving drivers under the influence- by 80 percent. Full New York Times article here. Also in car tech, Google’s parent company, Alphabet, said on Tuesday that its autonomous vehicle project was spinning off from its research lab X and would operate as a stand-alone company under the name Waymo. The early reviews of Rogue One, the next movie in the Star Wars franchise are starting to appear, and they're not all good ("thoroughly mediocre"). 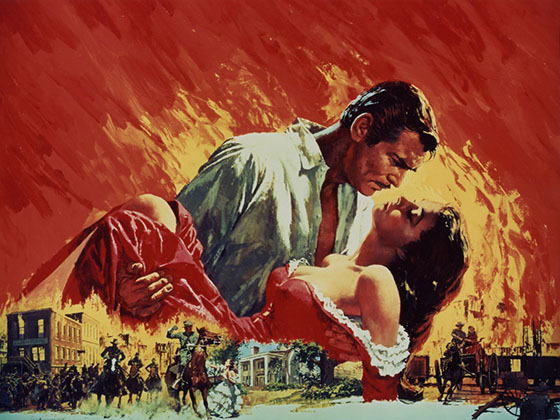 That said, the film has an 85% on Rotten Tomatoes' Tomatometer. But then, I've never really been a Star Wars fan, other than the first two films. Donald J. Trump’s one mention of the space program during his campaign was to tell a kid that potholes on Earth need fixing first. That said, Trump also campaigned on the promise to "make America great again," and hardly anything in recent history says that more clearly than the Apollo moon landings. That has some space buffs hoping that a Trump administration will put its weight behind another grand adventure in space, most likely a return for good to the moon. Why it's important to speak up against fake news: the Japanese internment camps of World War II were prompted by a bureaucrat's lie. 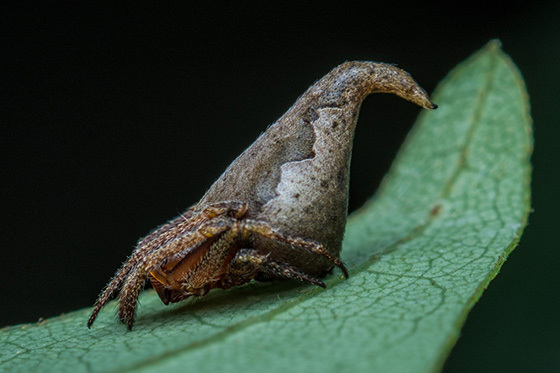 Harry Potter-loving scientists find spider that looks like the Sorting Hat, naming it Eriovixia gryffindori. Still, ick. We're off tomorrow; back on Monday. Stay warm, and have a great weekend!